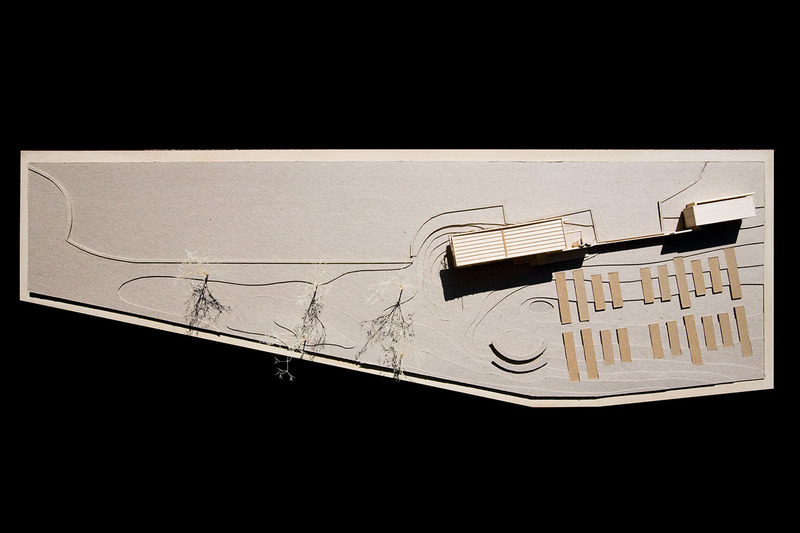 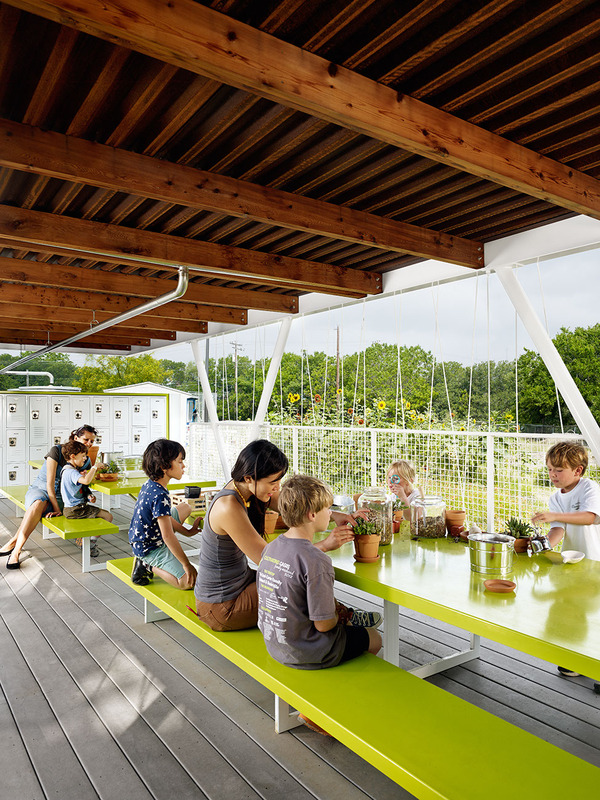 In the winter of 2010, we donated architectural services to design an open-air outdoor classroom for Casis Elementary, a large public school in central Austin, to augment the school’s burgeoning organic garden program. 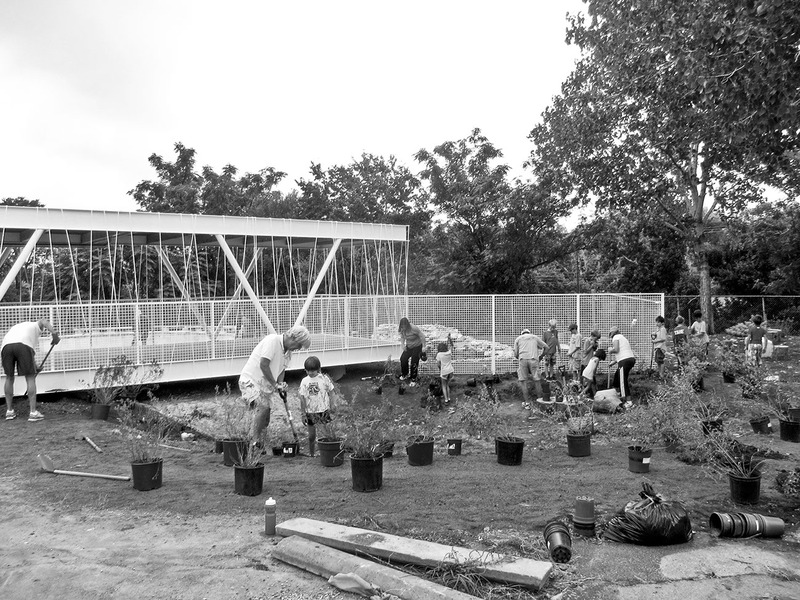 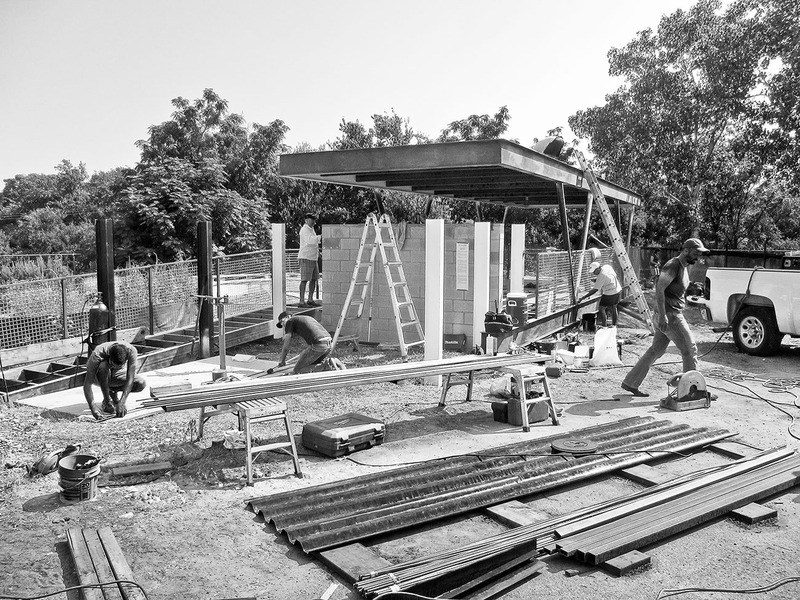 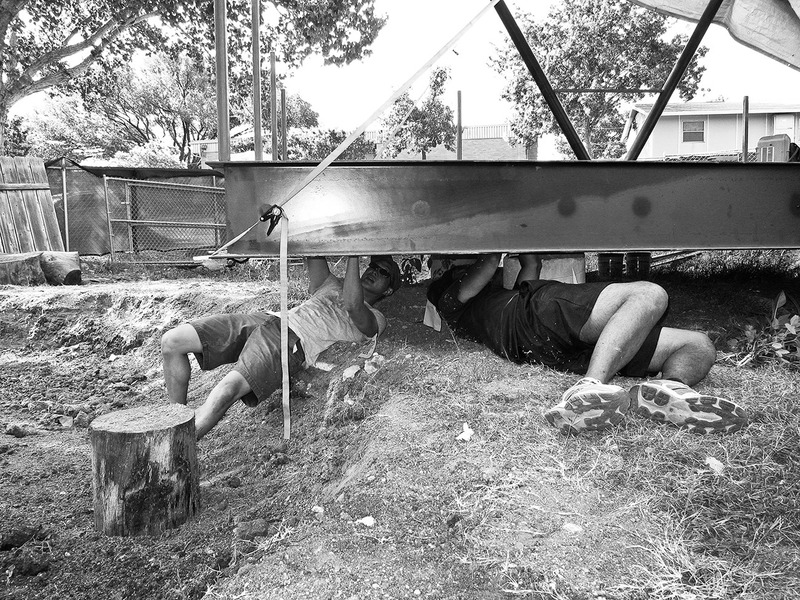 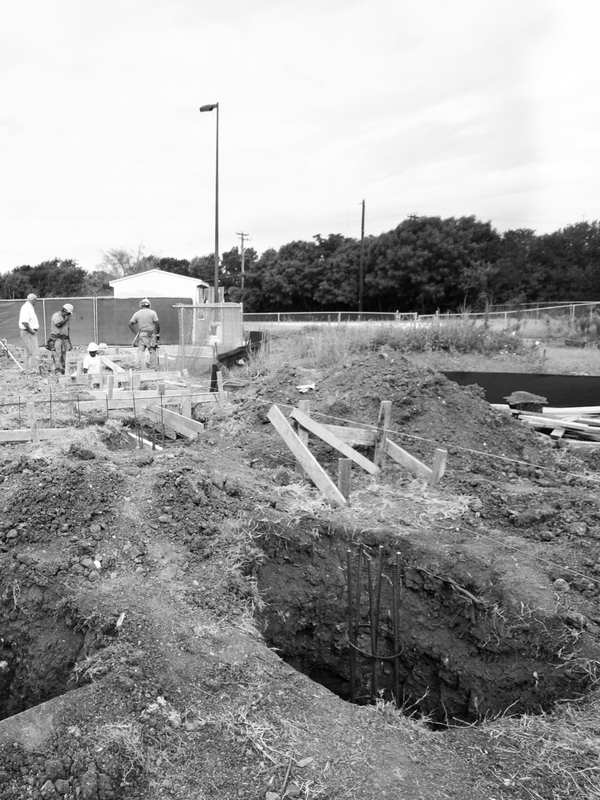 In the summer of 2012, we labored in the field with parents, architecture students from The University of Texas at Austin and friends in the construction community to deliver the project. 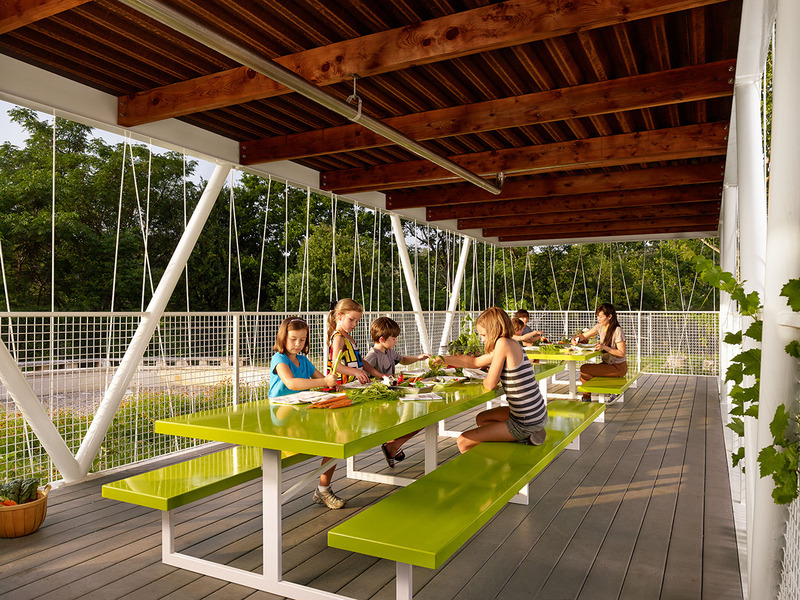 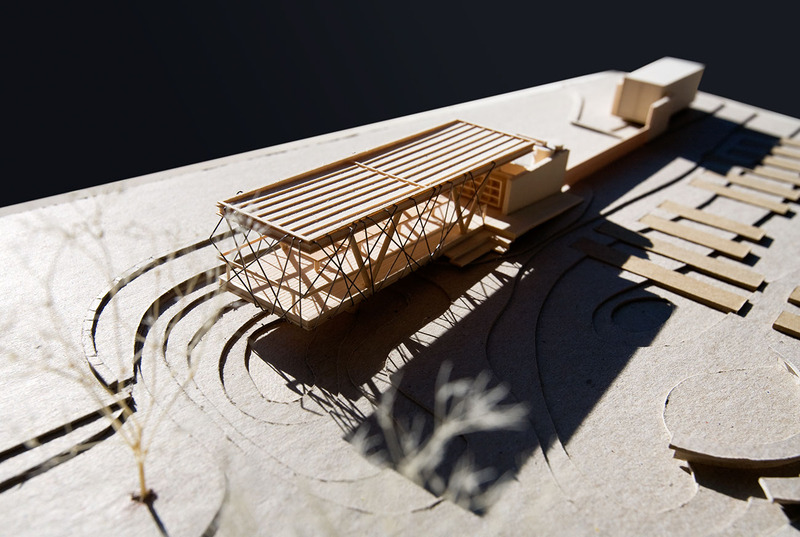 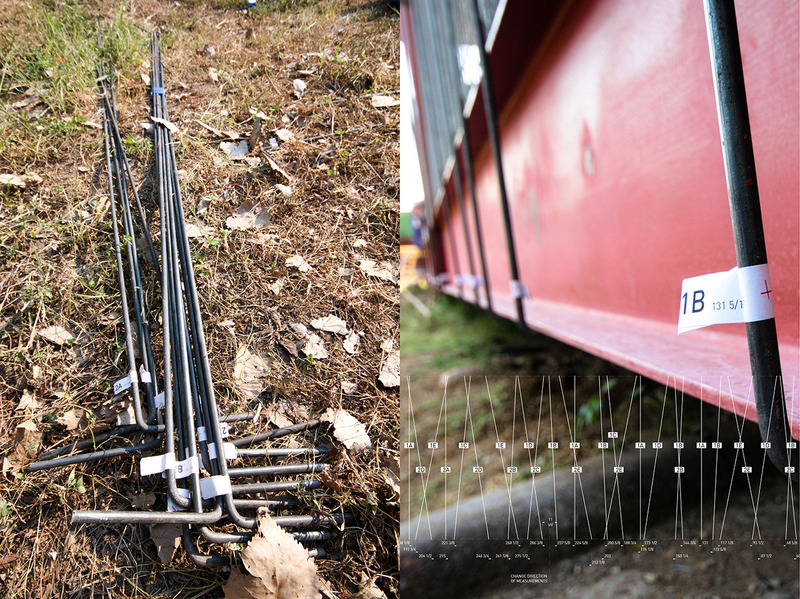 The low-maintenance structure houses work-tables where up to forty students might work under shelter from sun and rain, along with storage for supplies and gardening equipment. 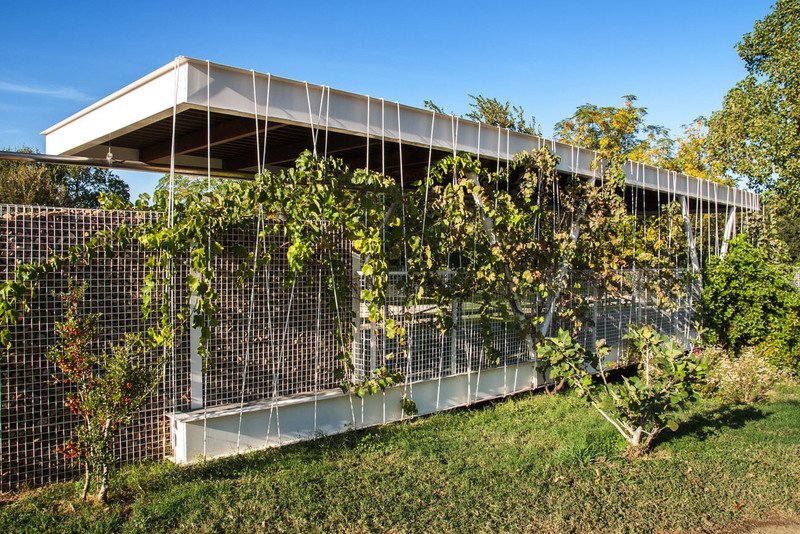 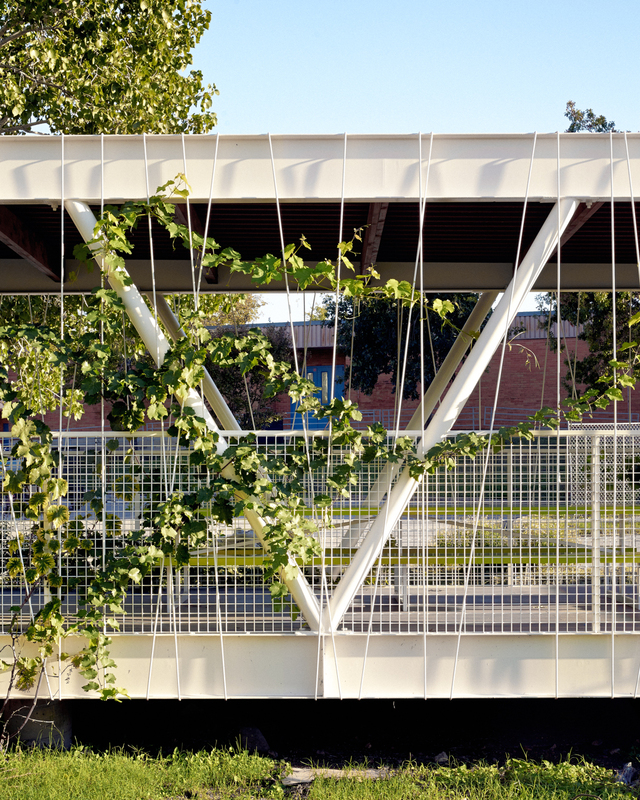 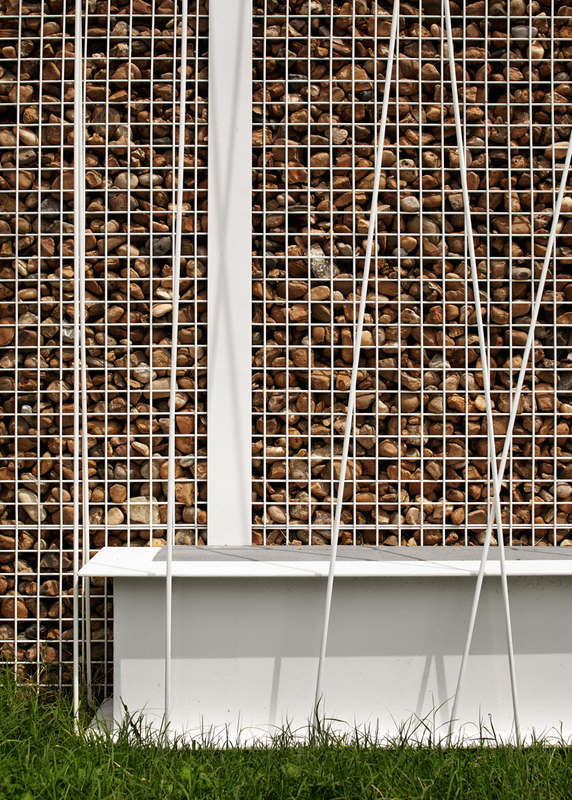 The structure features a vine supporting enclosure made of 3/8” steel dowel, almost as if a child had wrapped the entire project in string. 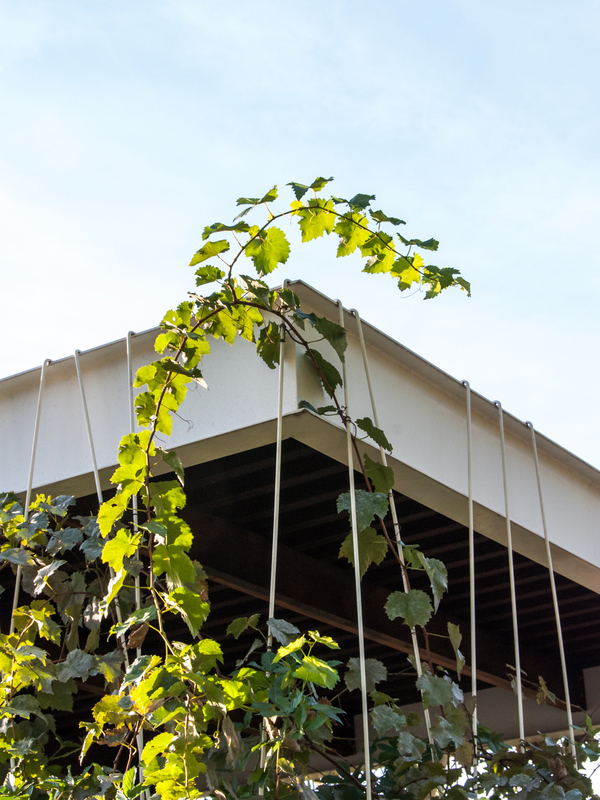 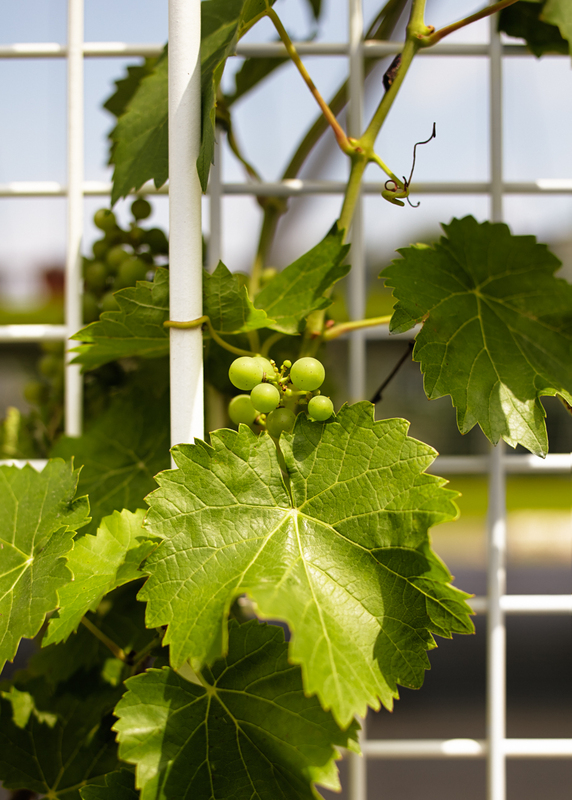 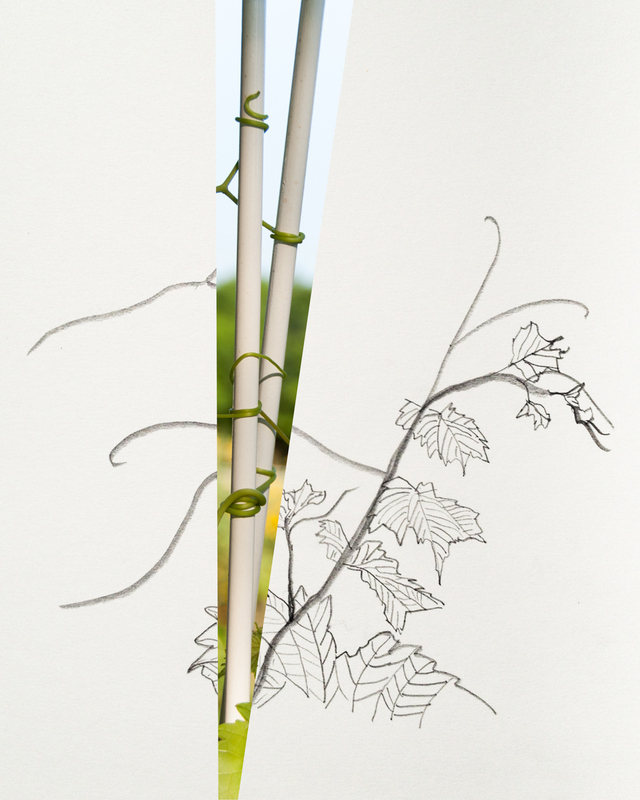 Although playful, the deciduous vegetation also functions to provide shade in hot months and sun in the winter. 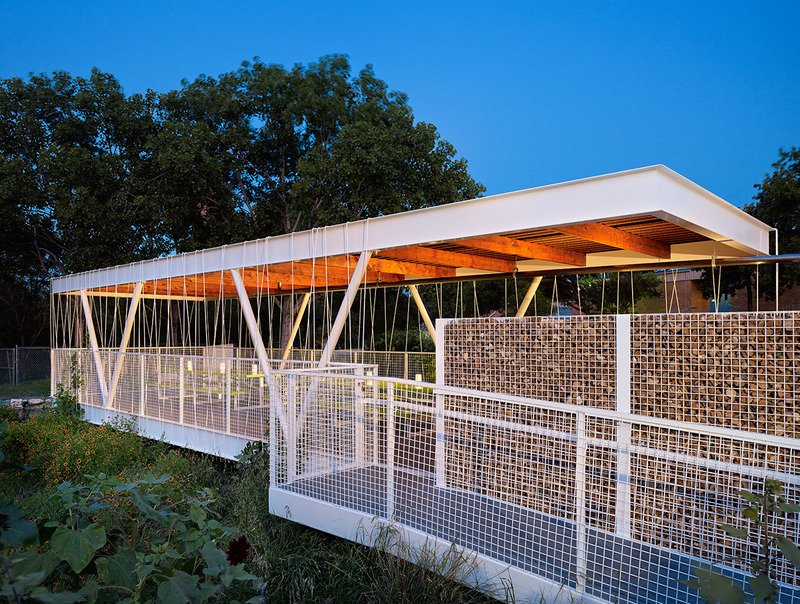 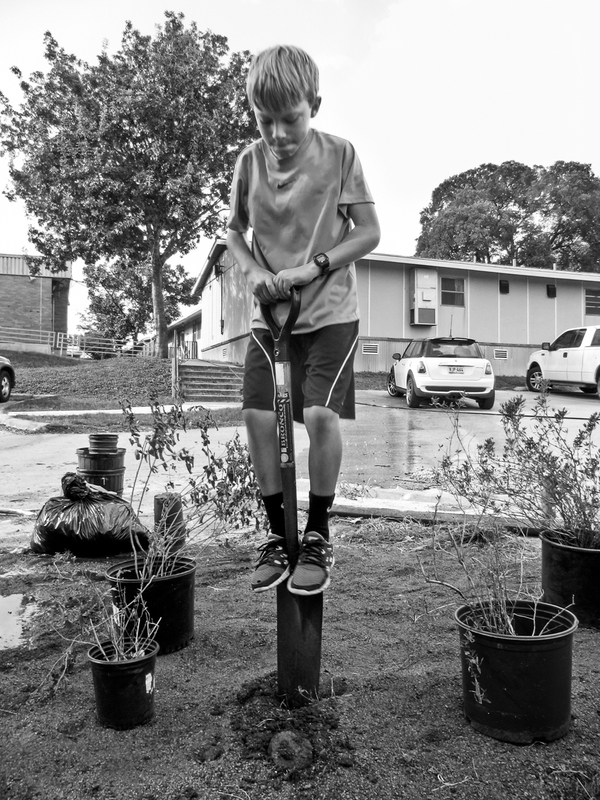 A rainwater collection system anchors the project, supplying water for the gardens while teaching lessons about environmental stewardship.